Shop for advanced electronics favorites and save 17% when purchased as a pack. Qualifies for free shipping! Save 15% when purchased as a pack. The Chemistry Pack is only eligible for Ground Shipping within the Contiguous United States. Qualifies for free shipping! 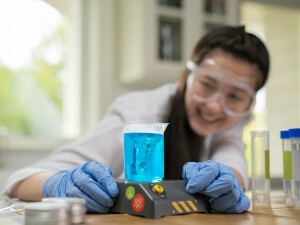 Ignite a passion for science with 3 complete chemistry lab kits. With Glow Lab, you’ll receive a UV light and mix up 3 glowing solutions. 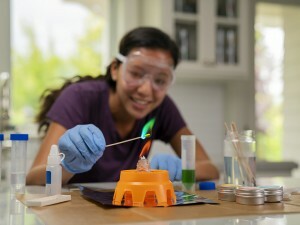 With Fire Lab, you’ll create a colorful flame lamp and complete 7 combustion experiments. And with Vortex Lab, you’ll build a magnetic mixing machine and explore 4 amazing reactions. Recommended for Ages 14+. Build a puppet theater, prep your puppets, and practice letter-writing with these storytime favorites. Build a magnetic mixing machine and explore 4 amazing reactions that explore the science of solubility, reaction speed, and oxidation-reduction. 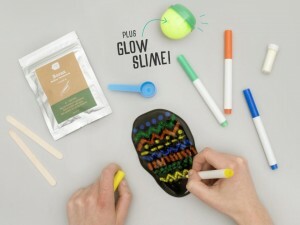 Explore UV light and mix up 3 solutions that glow in the dark. 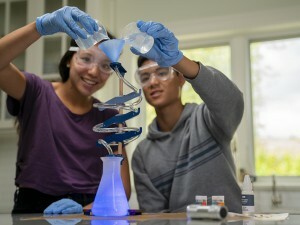 Explore the chemistry of fluorescence, phosphorescence, and chemiluminescence. Build a unicorn costume with a majestic mane, a noble snout, and a horn that lights up!